Dr. Kevin A Shugars, D.D.S. Dr. Shugars was born in Chicago, Illinois, raised in Portage, MI and graduated from Portage Northern High School in 1979. In 1983 he received his degree from Kalamazoo College. He received his dental degree from Northwestern University Dental School in 1987. While at Northwestern, Dr. Shugars chosen as one of the Omicron Kappa Upsilon national honor society members. He completed his endodontic training at The University of Illinois in 1989. While at the University of Illinois he was a clinical instructor in the dental school as part of the endodontic residency program. He moved back to Kalamazoo following his graduation in 1987 from The University of Illinois. 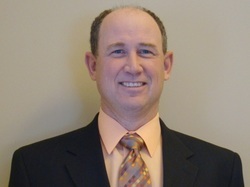 Dr. Shugars is married with three children and resides in Mattawan. Dr. Shugars has been one of two endodontists to be very active in the local dental society over the years. He has served as President, Vice president and Program Chair of the Kalamazoo Valley District Dental Society. He served as a delegate for the dental society, as well. In 2000, he received the President's award from the dental society. He also received the Dr. Daniel Ganz award in 2005. He has presented table clinics at the Midwinter meetings of the Chicago Dental Society and for the annual meeting of The American Association of Endodontists. He also has had a scientific article published in The Journal of Endodontics. While at Kalamazoo College Dr. Shugars received varsity letters in swimming and golf. He was and All- Michigan Athletic Association swimmer in 1983 and qualified for the NCAA national meet in 1982 and 1983. In 1983 he was a division III All-America swimmer. He continues to be an avid golfer and has been coaching little league since 1998.